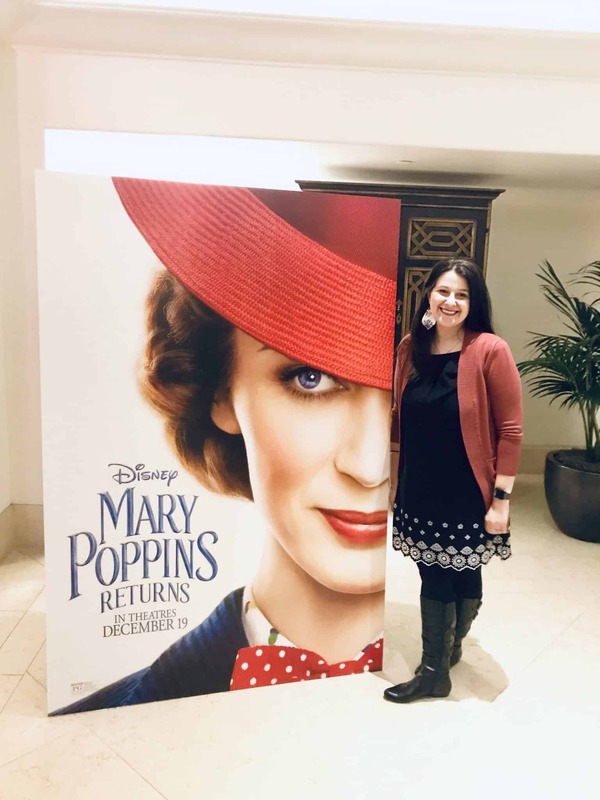 Disney’s newest movie Mary Poppins Returns is my favorite movie that I have seen all year! I see a lot of movies and honestly musicals usually aren’t my favorite. 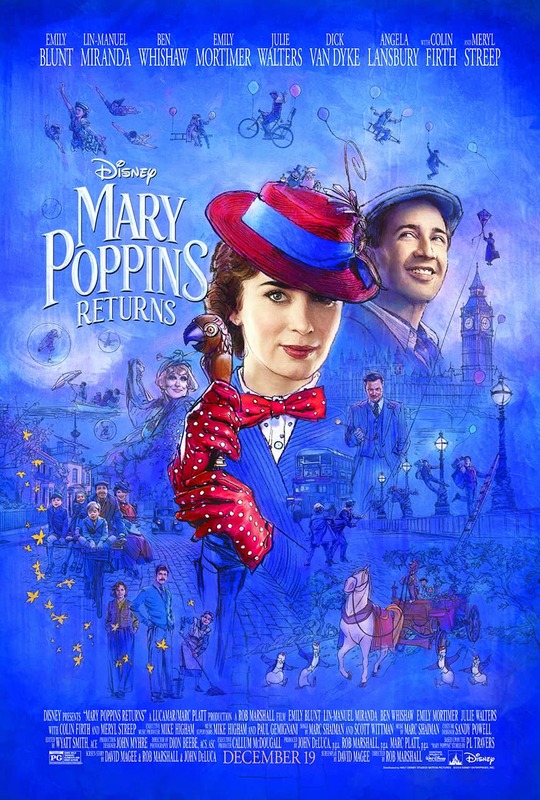 Mary Poppins Returns is whimsical, positive, and a feel good movie. 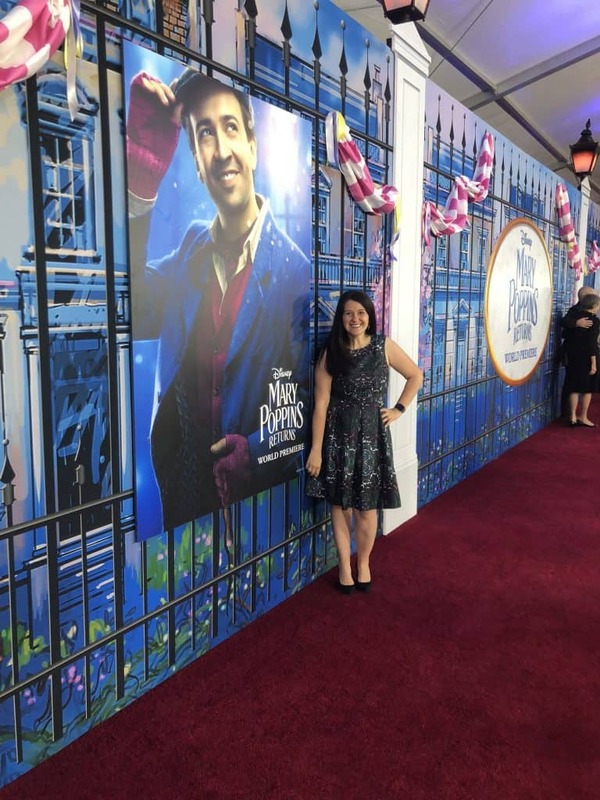 Our writer Crystal said that, “Between the hand drawn animation, quick witted dialogue and charming musical performances you have a beautiful depiction of P. L. Travers’s world!” She is right! Not only is there hand drawn animation but there is a scene where the costumes are hand painted to match the animation. The musical performances enhance the movie more than you can imagine. The movie comes together as magical, fun, and upbeat! I consider Mary Poppins a superhero. She can fly, she has powers, she does good things, and she doesn’t expect anything in return. She also doesn’t need a cape because she has an umbrella. Does every superhero need a villain? Not when you are Mary Poppins. 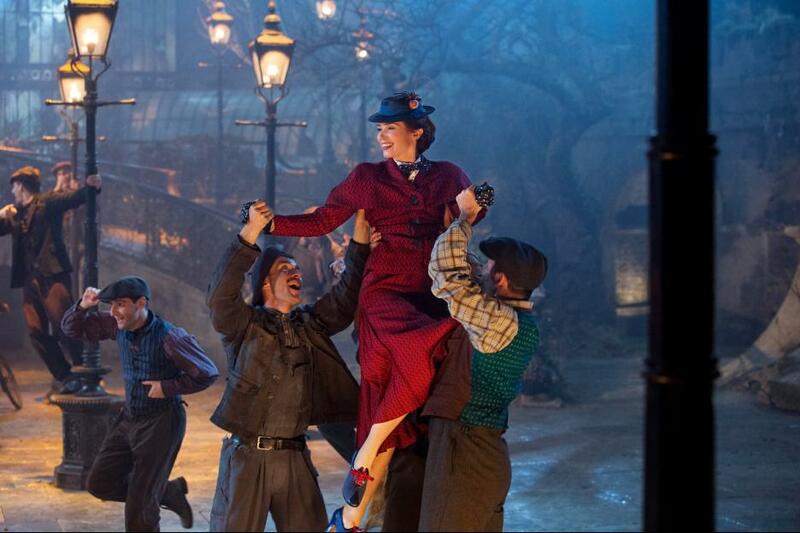 Emily Blunt’s performance as Mary Poppins is stellar and believable. Lin Manuel Miranda‘s performance as Jack is flawless. Of course we know he can sing and perform, but he can also dance! The childlike spirit and care that Lin displays through Jack is perfect. Plus, his songs will be remembered forever when this movie whens some Oscars! 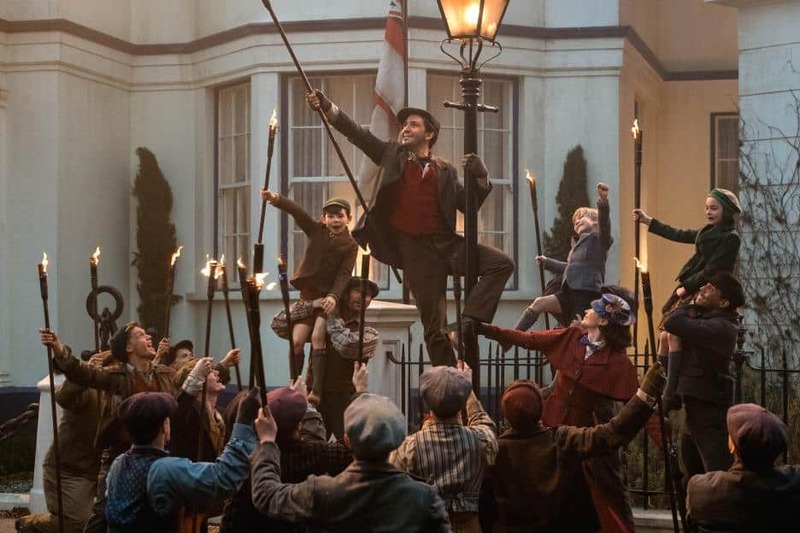 There is just so much to love about the new Mary Poppins Returns. The music, the songs, the acting, the choreography, the costumes, and the animation should be up for every single possible award the Hollywood has to give. If there was an award for the best family movie that everyone should watch in their lives, Mary Poppins Returns should win that one too! Do you know that feeling that you got when you watched musicals like Mary Poppins and even Annie growing up? That is what you will feel when watching this movie, but this time the movie has more resources and creativity options than ever before. The entire cast does an amazing job in the movie. Also the easter eggs that go back to the original movie will have you literally applauding throughout the film.